By the end of 2001, after completing musical studies in New York, the guitarist and producer Martin Delgado returned to Argentina with the idea of experimenting the fusion of electronic music, tango and jazz. With this in mind, he made several demos in his study and decided to look for other musicians to form San Telmo Lounge. In this way, STL was completed in 2003 with Pablo Gaitán in bandoneon, Lucas Polichiso in keyboards and Maximiliano Natalutti in violin. In September of the same year, they successfully released their first album " McDougall Tango”, which positioned them in the national and international musical panorama, as referents of this increasing trend named electronic tango. 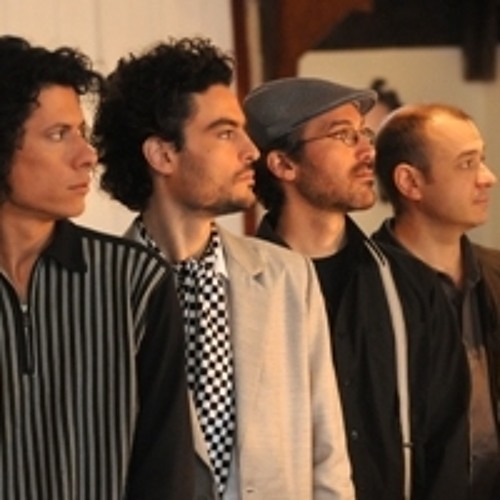 In 2005 they released their second album " Madrugada en Backcelonia", and in October 2007 they released their third album: “Electrocardiotango” by which they obtained the MUSI award in the Category Best Group of Instrumental Tango (prize granted by the Union of Musicians of Rosario) and a nomination to the Gardel Prize, in the category Best Electronic Tango Album. After being on tour in Latin America and Europe for 2 years, STL release their fourth album AL FILO. In this album, the group shows a wide variety of influences that add to their usual R&B cool sound, subtle airs of the Andean South America, a touch of Central European folklore and even a cumbia flirt, featuging important guests as Juan Subirá (Bersuit), Adrián Abonizio, Pablo Mainetti, Palo Pandolfo and Coki de Bernardis.